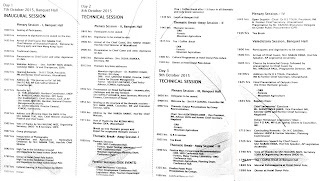 The SMDSs are an annual event organized by IMI. This year the main theme for SMDS IV held at Itanagar on the 07/08/09 of Oct2015 and organized by SDFA, Arunachal Pradesh was Disaster Risk Reduction (DRR), the other thematic sessions being Mountain Agriculture and Forests. The Anchor for the DRR theme for SMDS IV was Dr RS Tolia, founding President of IMI. 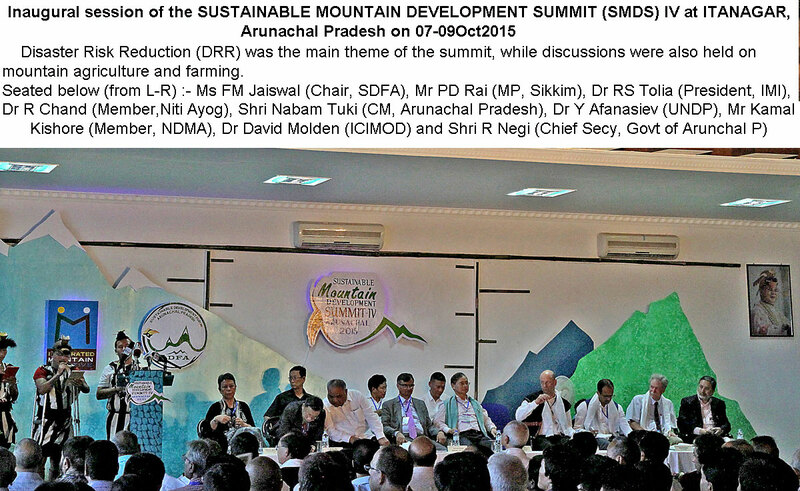 SMDS IV was a mammoth affair with almost 250 delegates from all the 11 eleven mountain states plus the 2 hill districts of W. Bengal and Assam and also representatives from Bhutan and Nepal attending the seminar. 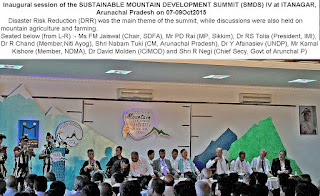 In this melee were gov The gathering also drew a whole galaxy of experts on forests, agriculture, DRR and also from UNDP and ICIMOD as well as legislators, government officials and NGOs. Improvement of observational networks, collecting more scientific data on environmental mountains - on glaciers, climate change, rainfall and so on and better management of existing data. To analyze and convert this data into practical and understandable hazard risk and vulnerability assessments which can be used by practioners. Much stronger emphasis on action planning for risk reduction and response - starting from the lowest possible levels (village level upwards). Planning for recovery from disasters also needs much more attention. 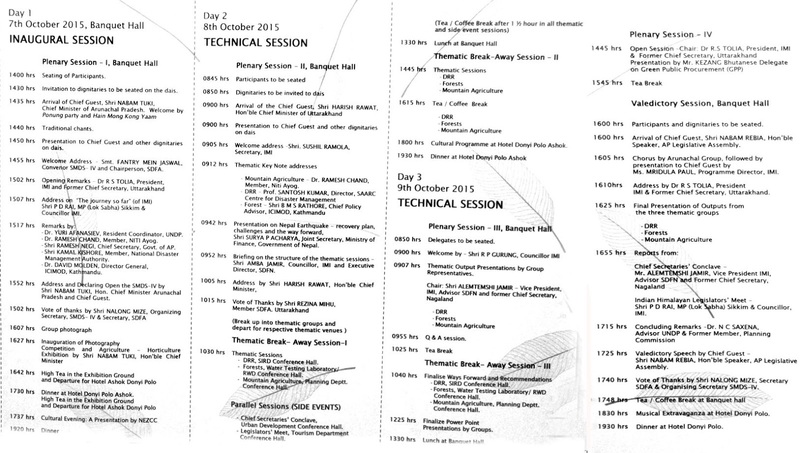 Capacity building at the lowest levels and conversion of policy into action at the grass roots. Requirement to building back better in order reduce risk and a national policy on building on slopes. 100% coverage of district disaster management plans in all mountain states. 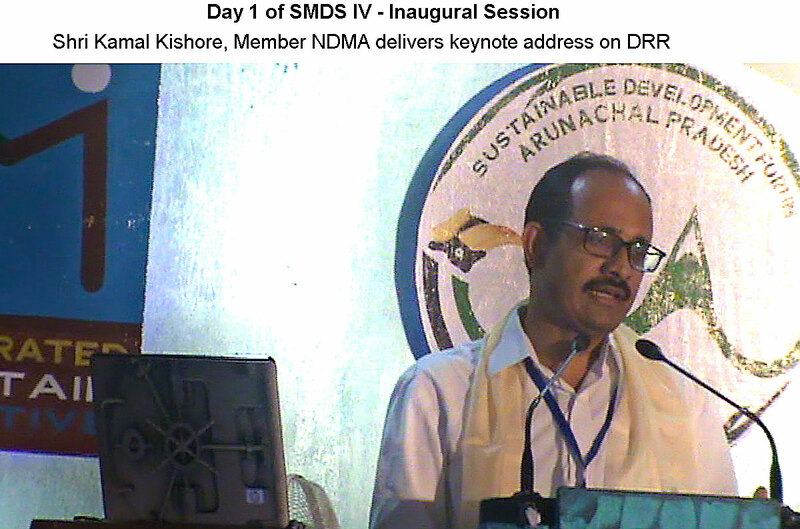 Setting up of one model district disaster management authority in each of the 11 mountain states. Retrofitting of one school and one hospital in each mountain state. 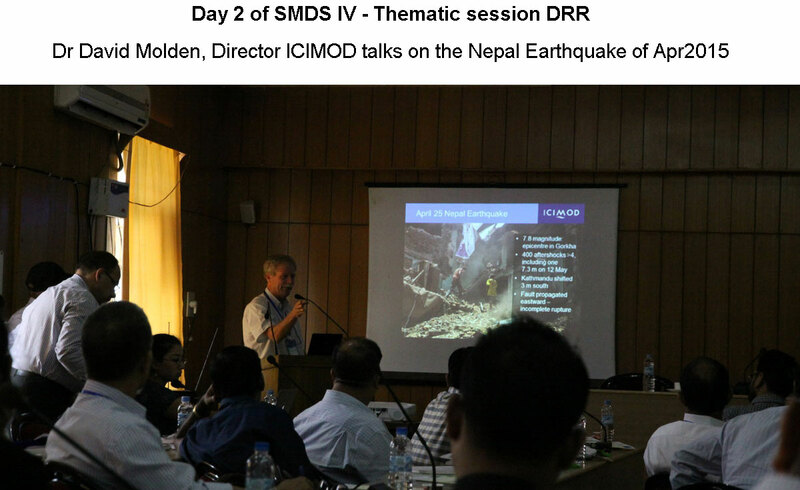 Thanks for sharing SMDS-IV event and coming out with practical recommendations. Hope states initiate some action. 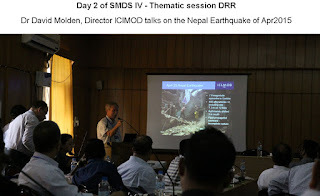 How about Darjeeling developing Disaster Management Plan. It would require carrying out Hazard mapping, vulnerability analysis, and setting up of monitoring, Early Warning and response mechanism. 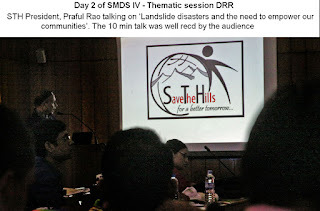 I shall be happy to be associate with Save The Hills in this activity.